Hi and welcome. My name is Sonya MacDonald. I’m a freelance fundraising copywriter, content creator, and internet marketing writer. For over a decade I’ve helped more than 100 nonprofits and values-driven businesses tell their stories to skyrocket their results. Did you know that whether you’re recruiting donors or winning customers, there’s only one way to make a lasting impact? It comes down to making real connections with people. And the best way to do that is through your story. That’s where I can make a difference for you. Powerfully engaging copy and content for your website, blog, email marketing, sales pages, or ebook. Fundraising copywriting that gets better response rates for your nonprofit communications. SEO copywriting and internet marketing that boosts your web presence and social media effectiveness. If your job, business, or passion involves making the world a better place, we should talk. Start by telling me your story. Call me at 604-741-3625 or email me today. I love it when I come across an example of email marketing that grabs me with a compelling story. Actually, I wish it would happen more often. Even though we all know how important storytelling is in our fundraising or marketing efforts, too many organizations aren’t telling their stories … or telling them well. But with any communications, you only have an instant to draw in your reader and make a connection. Why? Blame human nature. We’re wired to crave stories. It’s how we make sense of the world. When we come across a good story, we want to know what happens next. Our hearts and minds are engaged and we’re taken along for the ride. If your story is compelling, your audience is more likely to read your email. And they’re more likely to respond. “My story begins in the Arctic. I’m riding in a beaten-up van with caterpillar-tracks, inching my way across the tundra of northern Canada, 40 miles from Churchill. After a two hour-long drive I reach my destination: the Arctic wilderness. Battling biting cold winds and wrapped in a massive parka, I get out and stand alongside my colleague Peter Ewins, WWF Arctic wildlife biologist. Less than 100 meters away, a polar bear mother rests as her 10-week old cub alternates between tugging on her neck and batting at barren twigs. I’m awed by how this immense animal can be so gentle, patiently tolerating the cub’s tugs and nips. The mother polar bear’s sheer size, magnificence and affection toward her offspring are amazing. 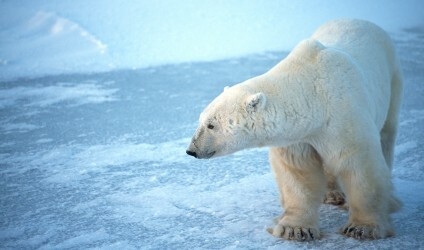 The email appeal goes on to tell about the issues threatening polar bears and explains how I can help. Unfortunately, the story in this email fundraising appeal seems to disappear, leaving me wishing the writer would have circled back to it after making the ask. But the engaging beginning puts this email appeal head and shoulders above a lot of the competition. Anything noteworthy show up in your inbox lately? Please share. I’m so pleased to launch my refreshed website and new blog. With the new look comes some digging deeper as well. 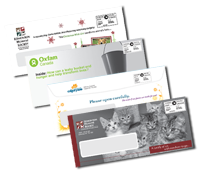 If you’ve been to my site before, you might have noticed that I started blogging in 2005 on the subject of direct mail fundraising copywriting. I retired that blog a few years back. And now I’ll be covering even more things copywriting and marketing related – from navigating email marketing to the secrets of successful donor communications. From creating killer content for e-newsletters to blogging with a purpose. And a whole lot more.